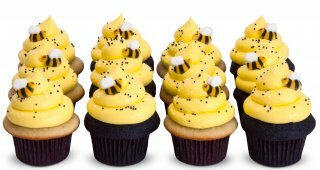 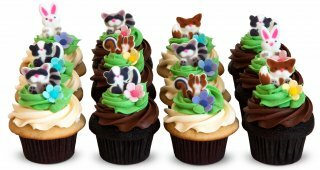 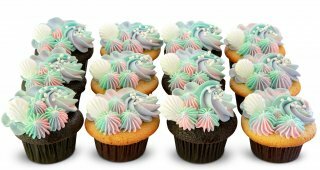 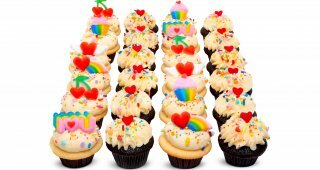 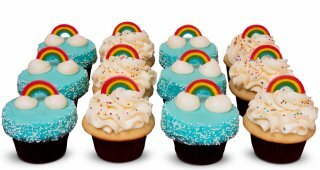 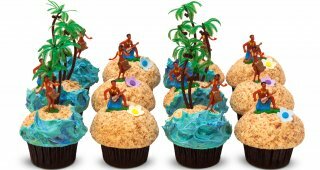 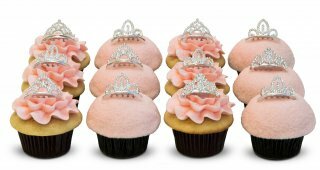 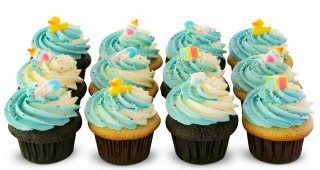 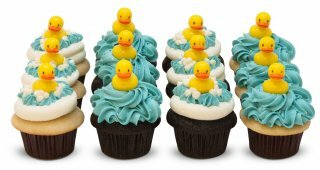 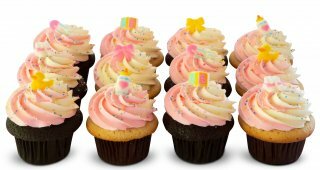 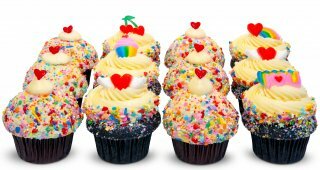 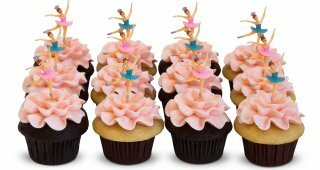 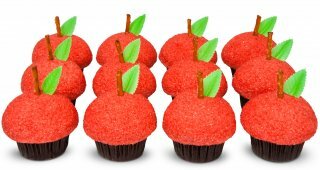 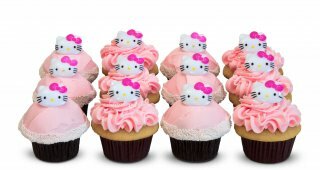 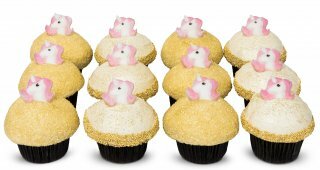 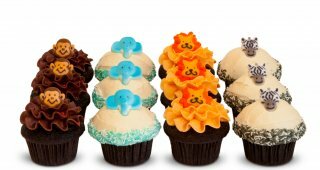 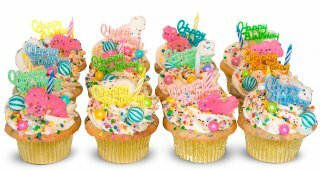 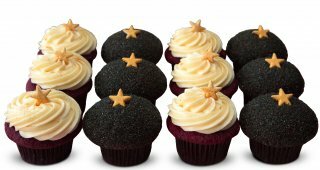 Trophy offers cute, clever themed cupcakes to fit every kind of party and personality! 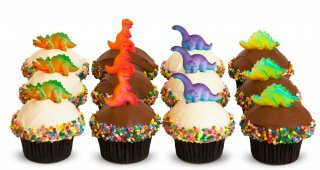 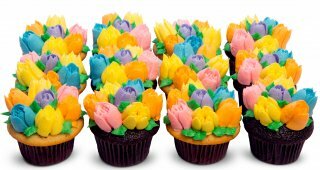 They're available by the dozen, to bring out the smiles at any party. 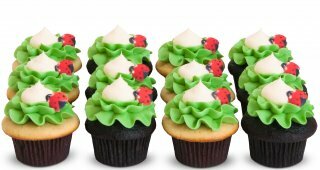 6 Chocolate Vanilla cupcakes and 6 Vanilla Vanilla cupcakes ruffly green buttercream flowers with sugar ladybugs toppers. 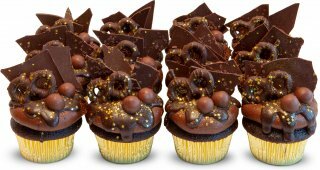 12 chocolate cupcakes in luxe gold liners, topped with chocolate buttecream, chocolate ganache, malt balls, a chocolate covered pretzel, chocolate bark, gold glitter and gold stars. 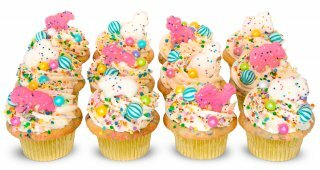 12 Yumfetti cupcakes topped with swirls of vanilla buttercream, signature Yumfetti sprinkles, a frosted animal cookie, a happy birthday pick and a classic birthday candle. 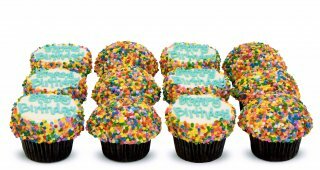 6 Chocolate Vanilla cupcakes rolled in rainbow sprinkles and topped with Happy Birthday picks and 6 Vanilla Vanilla Cupcakes sprinkled with coordinating sprinkles and topped with classic birthday candles. 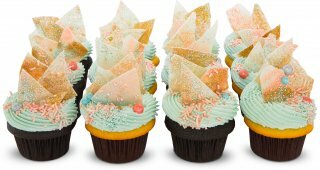 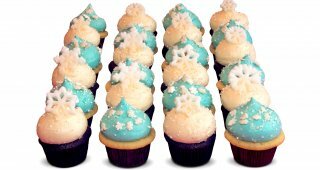 6 chocolate and 6 vanilla cupcakes topped with a seafoam green tinted vanilla buttercream and shards of glittering white chocolate bark in coral and seafoam hues. 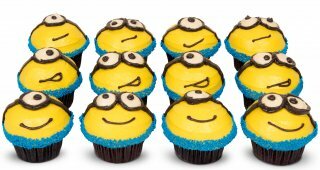 6 vanillla vanilla and 6 chocolate vanilla with hand piped Minion faces. 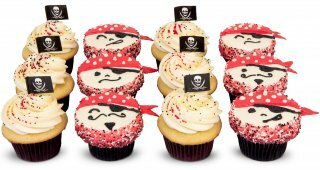 6 Vanilla Vanilla with pirate flags and nonpareils, plus 6 Chocolate Vanilla with playful pirate faces and sprinkles. 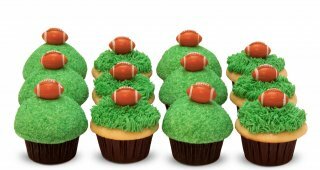 6 Chocolate Vanilla cupcakes with domes of green buttercream rolled in sanding sugar, plus 6 Vanilla Vanilla cupcakes with green buttercream piped to look like grass — all topped with a football. 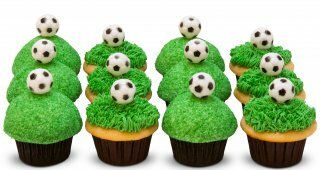 6 Chocolate Vanilla cupcakes with domes of green buttercream rolled in sanding sugar, plus 6 Vanilla Vanilla cupcakes with green buttercream piped to look like grass — all topped with a soccer ball. 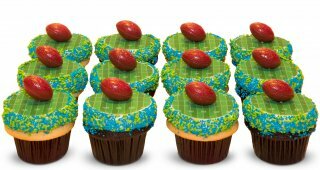 6 chocolate vanilla and 6 vanilla vanilla with an edible gridiron image edged in green and blue sprinkles and topped with a football. Give us a call at 206-632-7020 ex. 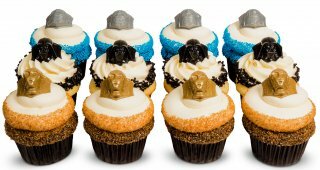 1 to hear about our other hometown football fan dozens! 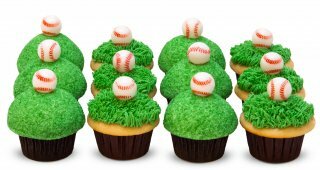 6 Chocolate Vanilla cupcakes with domes of green buttercream rolled in sanding sugar, plus 6 Vanilla Vanilla cupcakes with green buttercream piped to look like grass — all topped with a baseball. 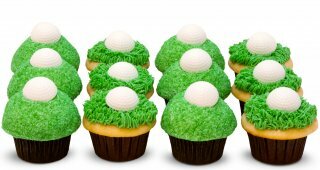 6 Chocolate Vanilla cupcakes with domes of green buttercream rolled in sanding sugar, plus 6 Vanilla Vanilla cupcakes with green buttercream piped to look like grass — all topped with a golf ball. 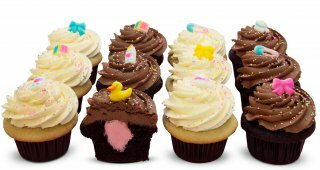 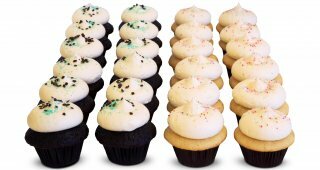 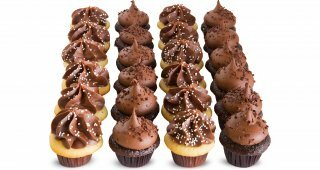 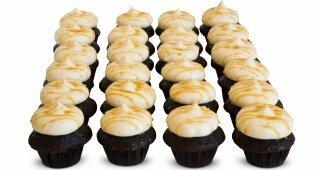 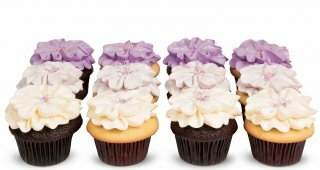 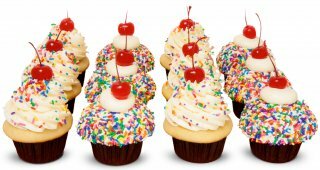 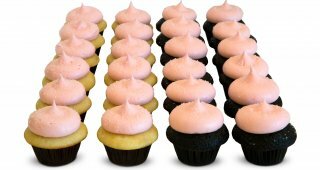 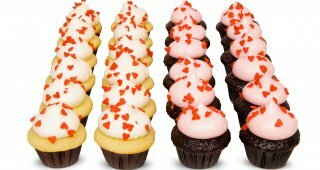 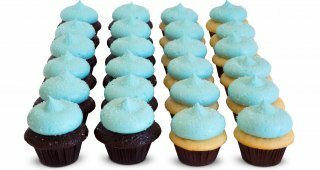 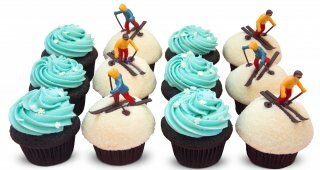 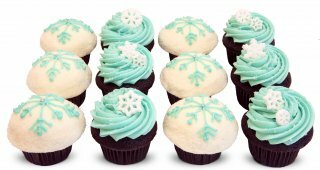 Our mini cupcakes are available by the two dozen, for pure party perfection. 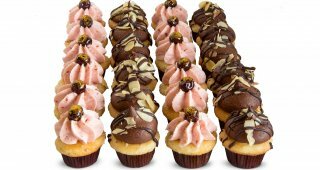 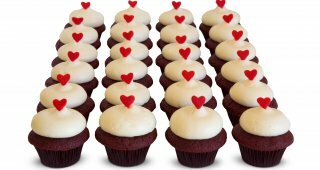 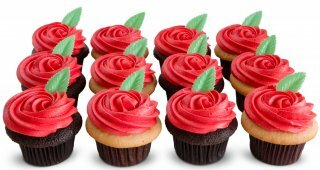 Enjoy 12 Cherries Jubilee minis featuring almond cake with cherry buttercream and 12 Chocolate Covered Almond minis with Belgian chocolate buttercream. 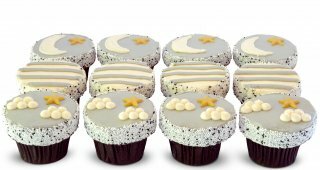 Enjoy 12 Vanilla Chocolate and 12 Triple Chocolate.